Definition at line 2620 of file CCopasiXMLParser.h. Definition at line 2627 of file CCopasiXMLParser.h. 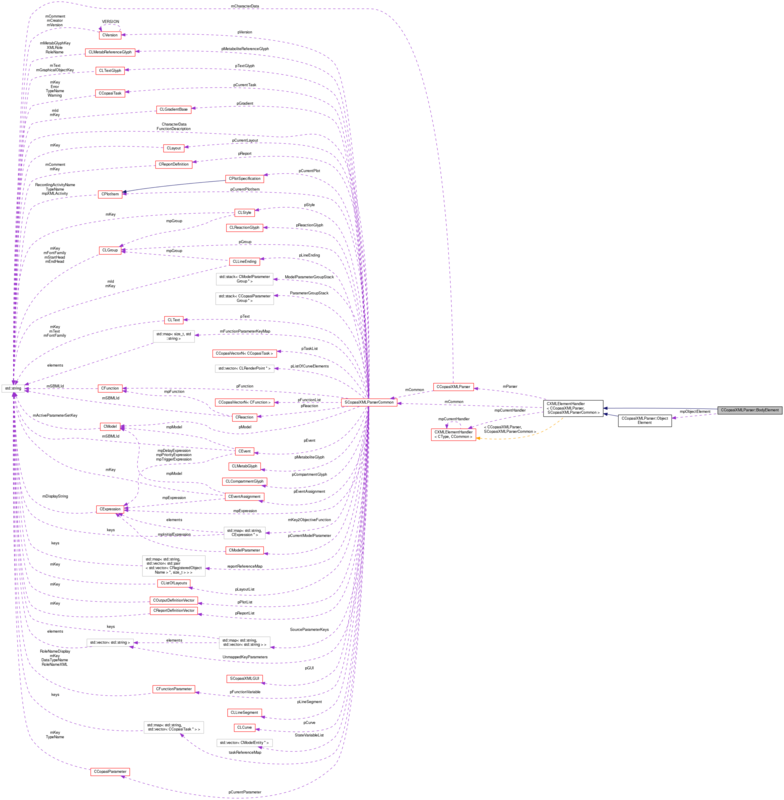 Definition at line 9909 of file CCopasiXMLParser.cpp. 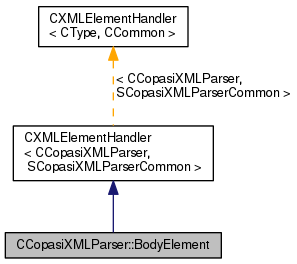 Definition at line 9915 of file CCopasiXMLParser.cpp. Definition at line 9984 of file CCopasiXMLParser.cpp. References SCopasiXMLParserCommon::CharacterData, CCopasiMessage::EXCEPTION, CReportDefinition::getBodyAddr(), CCopasiObject::getCN(), CCopasiXMLParser::mCommon, MCXML, CExpatTemplate< CExpat >::mParser, SCopasiXMLParserCommon::pReport, SCopasiXMLParserCommon::reportReferenceMap, START_ELEMENT, and UNKNOWN_ELEMENT. Definition at line 9920 of file CCopasiXMLParser.cpp. Definition at line 2664 of file CCopasiXMLParser.h.